There is nothing quite like the birth of a new day. Where I live it is a lovely process for the sun does not suddenly leap into the sky but announces its arrival through a gentle lifting of the light. The quality of the darkness changes. Black becomes grey before the first touches of colour bless the drifting clouds. And the birds! Unseen they herald this new dawn. Small bulbuls lift their heads to pour from tiny throats the most glorious and liquid songs of praise to our God. Weavers chatter amongst themselves and the crested barbet worships in long and breathless arias of love. These are holy moments indeed. And they call us to rise from our slumbers. Not with minds restless and cluttered with the uncompleted and unfulfilled remnants of yesterday – but open and eager for the light and love and life-inspired opportunities that await us, with all their potential and possibility. This is not an old day recycled but a new day to be lived and blessed. Our Lord Jesus so often comes into our lives as He came into the world. He came slowly and in small beginnings, not striding through the heavens in glorious and terrifying majesty. He came to love and win our love through gentleness, tenderness and compassion – with heart and arms open to the ragged and tattered and soiled souls that were drawn to Him. And so He begins to reach into our spirits like the first beginnings of the dawn, touching lonely and desolate darkness with the first touches of light and the first hints of new life. By the grace of God a new day keeps dawning. 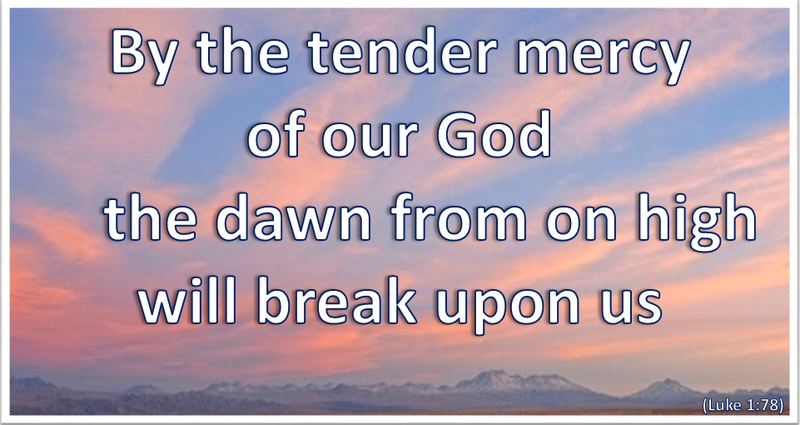 By His grace the dawn of His love keeps appearing outside of the windows of our spirits. By the grace of God there are sights and sounds and scents that make us pause with a wistful hope. It is the Lord – looking and longing and loving as He seeks to awaken us and attract us to step out with Him into this new dawn of life. Lord help me to be aware of You in the deep dark areas of my life – and to open myself to Your love, light and life in quiet trust. Amen.